Biography: Saul Carliner is a Professor of Educational Technology at Concordia University in Montreal. His research focuses on the design of instructional and communication materials for the workplace. His books include the best-selling Training Design Basics and award-winning Informal Learning Basics. He is a Fellow and past board member of the Institute for Performance and Learning, and Fellow and past international president of the Society for Technical Communication. Biography: Theo Bastiaens is rector magnificus of the Open University in the Netherlands. Bastiaens specific research interest is in Instructional Design and E-Learning. He has published extensively in this area. 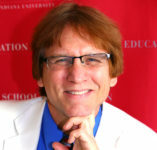 Biography: Curt Bonk (http://curtbonk.com/) is Professor at Indiana University teaching psychology and technology courses. Drawing on his background as a corporate controller, CPA, educational psychologist, and instructional technologist, Bonk offers insights into the intersection of business, education, psychology, and technology. His blog is “TravelinEdMan” and his books include, The World Is Open, Empowering Online Learning, The Handbook of Blended Learning, Electronic Collaborators, Adding Some TEC-VARIETY (free as an eBook http://tec-variety.com/), and, MOOCs and Open Education Around the World (http://www.moocsbook.com/). Biography: Sanjaya Mishra joined COL as Education Specialist: eLearning at its headquarters in Canada on 2 January 2015. Previously, he served COL as Director of the Commonwealth Educational Media Centre for Asia (CEMCA) from 1 July 2012 to 31 December 2014. 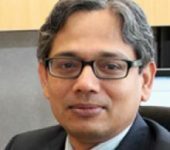 Dr Mishra is one of the leading scholars in open, distance and online Learning. Prior to joining COL, he was Programme Specialist (ICT in Education, Science and Culture) at UNESCO, Paris. 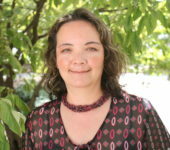 Lisa Yamagata-Lynch is a professor in the Educational Psychology and Counseling Department, University of Tennessee. She is the Associate Head for the Department and Program Coordinator of the Instructional Technology Online Master’s Program as well as the Learning, Design, and Technology Doctoral Program. 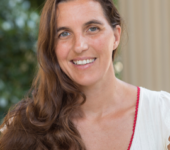 Her scholarly and teaching interests are in the areas of instructional design and technology, preservice teacher education, online learning, and Cultural Historical Activity Theory. 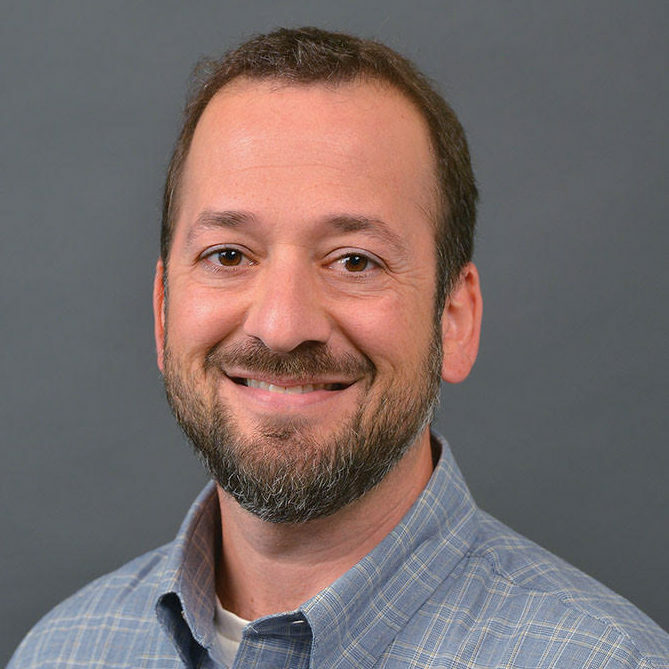 Brian S. Horvitz, Ph.D. is an associate professor and the program coordinator for Western Michigan University’s Educational and Instructional Technology Program where he teaches courses in instructional design, online learning, and school leadership. Dr. Horvitz has taught in this primarily online graduate program at WMU since 2006. His research focuses on online learning in higher education and online technical education. Dr. Horvitz serves as the principal investigator on a National Science Foundation (NSF) research project (DUE 1712065) that is developing observational and self-report instruments to describe teaching practices in online undergraduate STEM courses. He is also a co-PI on an NSF project (DUE 1501794) focused on the use of online learning in technical education programs in community colleges. Dr. Horvitz earned his doctoral degree at Indiana University – Bloomington. Biography: Gjoa has been attending EdMedia since she was hooked in Hawaii in 2009. Thrilled by the ever-changing world of educational technology, Gjoa learns about and incorporates technology into her Technical Communication courses at her polytechnic, BCIT, near Vancouver, Canada. Helping students connect with their industry partners and colleagues worldwide, Gjoa knows that the career opportunities increase for her students as she facilitates collaborative approaches in her course activities. Biography: Mark Curcher is the Program Director, 21st Century Educators program and Senior Lecturer, School of Vocational Teacher Education at Tampere University of Applied Sciences in Finland. 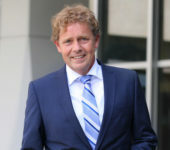 He has worked as an educator for 28 years, teaching business and economics, before becoming involved in teacher education and professional development. He worked in the UK and Middle East in a range of educational institutions before moving to Finland in 2013. 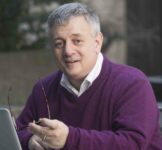 Mark has a background in online and distance education and a particular interest in the history of educational innovation and critical digital literacy. Biography: Christopher Devers received a Ph.D. in curriculum and instruction from the University of Illinois at Urbana-Champaign, as well as a MS in educational administration and a BS in engineering and technology education from Purdue University. He is an Assistant Professor in the School of Education at Johns Hopkins University. Professor Devers’ research focuses on online education, video learning, student success, and the Scholarship of Teaching and Learning. Biography: Dr. Charles Miller is the Cofounder and Chief Design Officer of Flipgrid, a Minneapolis company focused on enabling video-driven social learning in classrooms and enterprises around the world. 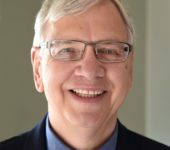 Dr. Miller is also an Associate Professor in the College of Education and Human Development and former founder and Executive Director of the Institute for Design Innovation at the University of Minnesota (UMN). In 2012 Miller cofounded Flipgrid, an asynchronous video communication platform for use in his PhD design courses. Biography: Nathaniel Ostashewski has been a K-20 educator for over 25 years and has spent the past 15 years helping teachers integrate technology into their teaching practices. He has worked as a multimedia designer and producer developing online materials and as an instructional designer of many courses for colleges and universities in Canada. His instructional design expertise is in the utilization of social media and Web 2.0 tools for supporting online courses. Dr. Nathaniel Ostashewski is an Assistant Professor in the Faculty of Humanities and Social Sciences specializing in the field of Distance Education. His research and practice focusses on implementation of online and blended education and solutions for teaching at large scales in MOOCs. He has written and presented at many International conferences on the topics of iPads in education, networked and online learning, media in online education, and Lego robotics in the classroom. His ongoing research involves the design and delivery of teacher professional development utilizing Web 2.0 and networked environments, and the design and delivery of mobile technology integration, such as the iPad2, into the classroom. Biography: Thomas C. Reeves, PhD is Professor Emeritus of Learning, Design, and Technology in the College of Education at The University of Georgia. He was a Fulbright Lecturer in Peru and has given invited presentations in the USA and more than 30 other countries. His books include Interactive Learning Systems Evaluation (with John Hedberg), A Guide to Authentic E-Learning (with Jan Herrington and Ron Oliver), Conducting Educational Design Research (with Susan McKenney), and MOOCs and Open Education Around the World (with Curt Bonk, Mimi Lee, and Thomas Reynolds). 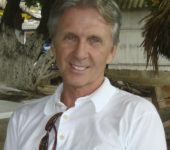 His research interests encompass educational technology in developing countries, design-based research, and evaluation. Biography: Currently a professor of Teacher Education at National University in La Jolla, California where he researches design of online learning environments, standards-based online assessment, and innovations in e-learning. Before coming to National University, he served on faculty at Texas A&M University after earning earned his Ph.D. in Curriculum and Instruction at the University of Wisconsin-Madison. Professor Reynolds has twice served as a Fulbright Scholar—2010 in Colombia where he researched open education resources and 1998 in Peru where he lectured on Web-based learning and technology-enhanced instruction.